This year was another great year and I was fortunate to have my freezers filled again so my season ends. 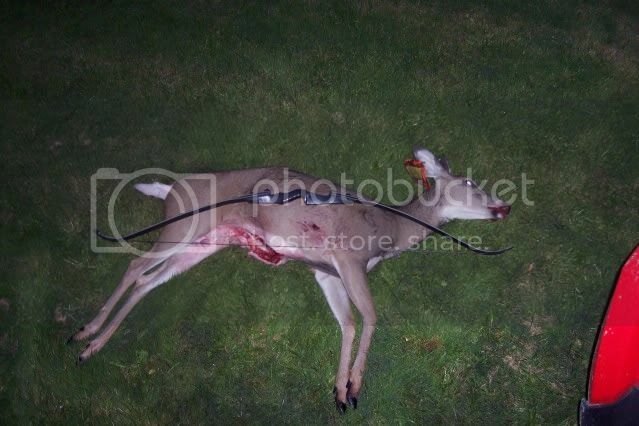 All deer were taken with a 40# Black Swan Recurve, GT 1535 30" shafts with a 125gr. head. 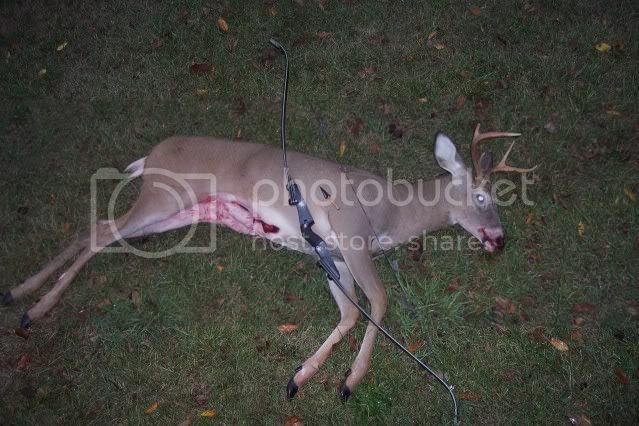 Took 2 with a Helix and 2 with a WW broadhead. Took this buck on 9/28. 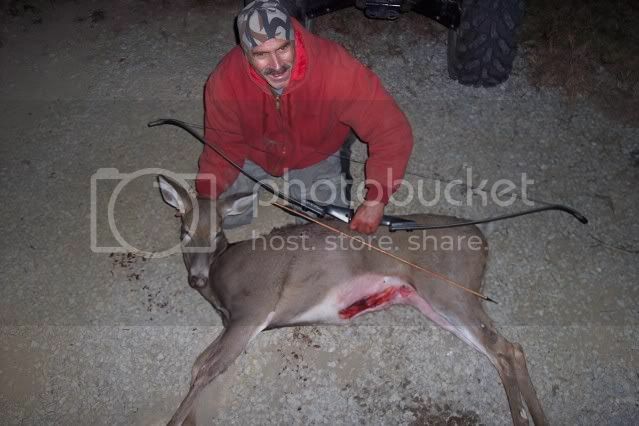 Took a doe on 10/2 but did not get a pic. It was very warm and she went straight to the cooler and I didn't have my camera. Took this doe on 10/19. Took this doe on 10/29. That's a bunch of venison! Congrats! man... i haven't taken that many in the last 10 yrs. congrats! that is an inspiring season-- thanks for sharing..
Great season. Lots of good eating right there. Very nice,I wish I had all that meat in my freezer. very nice, pitbull! you did good! congrats!